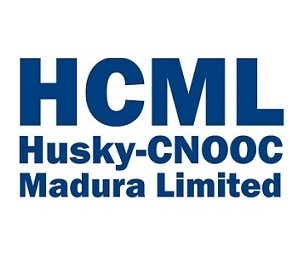 Husky-CNOOC Madura Limited (abbreviated as “HCML”) is one of the Production Sharing Contracts (PSC) of Badan Pelaksana Kegiatan Usaha Hulu Minyak dan Gas Bumi (BPMIGAS), which later on was changed into Satuan Kerja Khusus Pelaksana Kegiatan Usaha Hulu Minyak dan Gas Bumi (SKK Migas), Kementerian Energi dan Sumber Daya Mineral, as a representative of the Government of Republic of Indonesia to conduct exploration and exploitation of oil and gas in Madura Strait. Follow Logistics Management System manual. Support in contract development of Logistics Service or issue Service Order. Support in Logistics System & procedure development. Support in set up and arrange program of Logistics performance improvement. Support in Maintaining KPI Logistics Management. Ensure Warehouse activities compliance with HCML’s HSE regulation and standard operating procedure. Ensure Logistics Service supplied by 3rd party as per contract requirement. Documenting all logistics process by using standard methods, formats and tools. Logistics Planning admin and reporting. Minimum 3 years experience in relevant job in Oil and Gas Industry. Having good knowledge, Inventory, Warehouse, Shorebase Management/Logistics and HSE knowledge at workplace. Having background technical of vessel and safety for Logistic Planning and Control. Familiar with PTK 007 and other related regulation & procedure in Indonesia Oil & Gas Industry. Familiar working with ERP System or quick learning. Knowledge about Logistics services required by the Oil & Gas company. Familiar with MS Office and can rapidly learn any other application program when need. Self-motivated, Good interpersonal skill, supervisory skill, leadership, analysis skill, dynamic team player, integrity, initiative, achievement oriented, ability to work under pressure; sense of responsibility and HSE concern. FRAUD WARNING!! 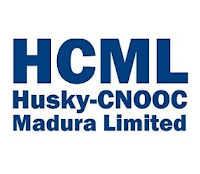 Husky-CNOOC Madura Limited (HCML) will never ask applicant to pay a processing fee, ask for money or appoint any travel agent for the recruitment process. Thanks for reading Husky-CNOOC Madura Limited Jobs: Officer Logistics Planning and Control. Please share...!